This year’s NZ Festival includes four performances by the Israeli Batsheva dance company. Batsheva is an integral part of Israel’s Brand Israel public relations campaign. The dance company receives funding from the Israeli Ministry of Foreign Affairs, which has described Batsheva as ‘the best known global ambassador of Israeli culture’. Batsheva’s performance at NZ Festival is sponsored by the Embassy of Israel in New Zealand. One of the embassy’s roles is to enhance Israel’s public image in New Zealand by sponsoring Israeli cultural events such as this one. This is part of a deliberate strategy of using arts and culture to whitewash over Israel’s human rights abuses and violations of international law. We will be outside Batsheva’s performance to protest Batsheva’s role in whitewashing Israeli apartheid. 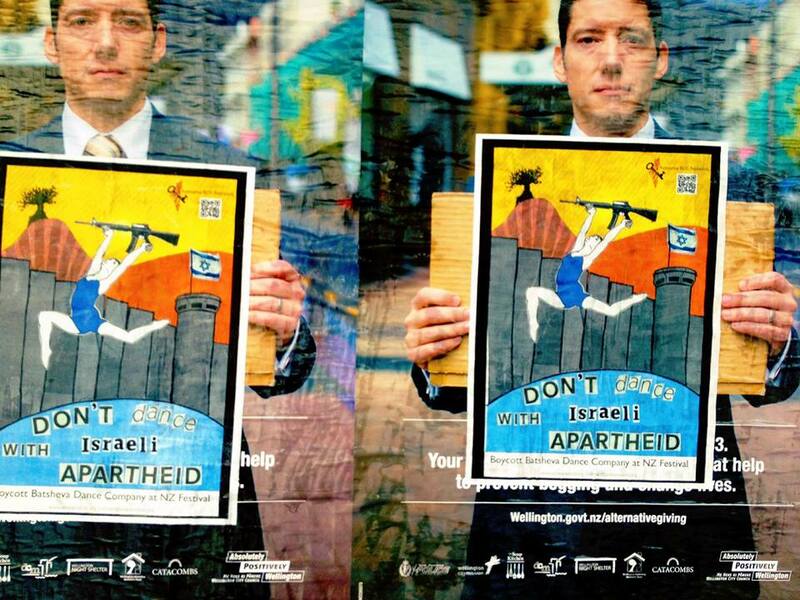 This is part of the global campaign of BDS (boycott, divestments, and sanctions) initiated by Palestinian civil society.